Piedmont Athens Regional Hospital is joining the nationwide effort to save lives through organ donation. April is Donate Life Month and Piedmont Athens Regional Hospital taking part in the national effort to save lives through organ donation. 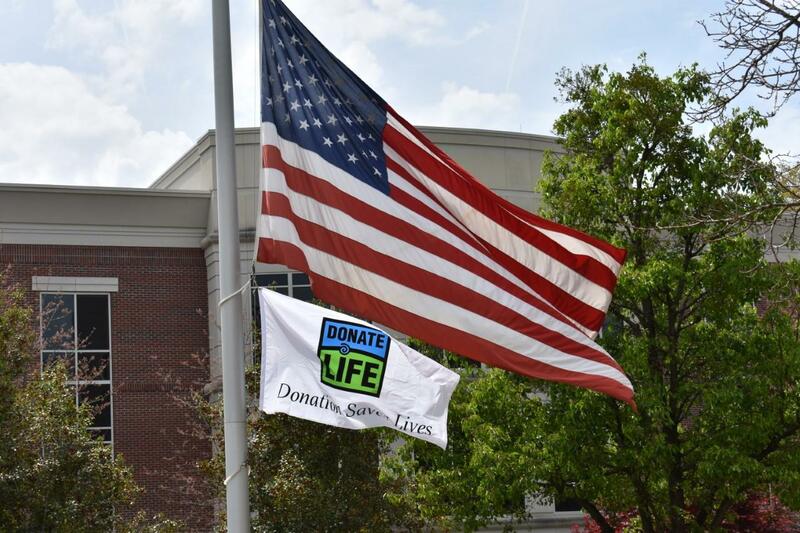 For the 5th year in a row, the hospital is holding a Donate Life flag-raising ceremony Friday, April 12th. “We leave that flag up during the month of April and then we raise it when we have an organ donor, and then we proceed to our healing lodge and have a ceremony,” according to Candace Wiercioch, director of cardiac and critical care services at the hospital. She says each year’s ceremony has some common themes as well as its own unique touches. “We do a couple of readings and usually we have some kind of…last year we had an interpretive dance, we had a guitar player and then we go out to a little garden area in the healing lodge and we plant an azalea in remembrance of those who were donors for the year. Wiercioch states it’s part of the effort to raise awareness about the need for organ donors. She says the most recent numbers show there 114,000 on the national waitlist for organs, with 5200 in Georgia. 22 people a day die on the list. Wiercioch says in 2017 a group of ICU nurses raised money to commission artwork in commemoration of the event. A UGA student designed and built a tree in honor of organ donors, recipients and their families. 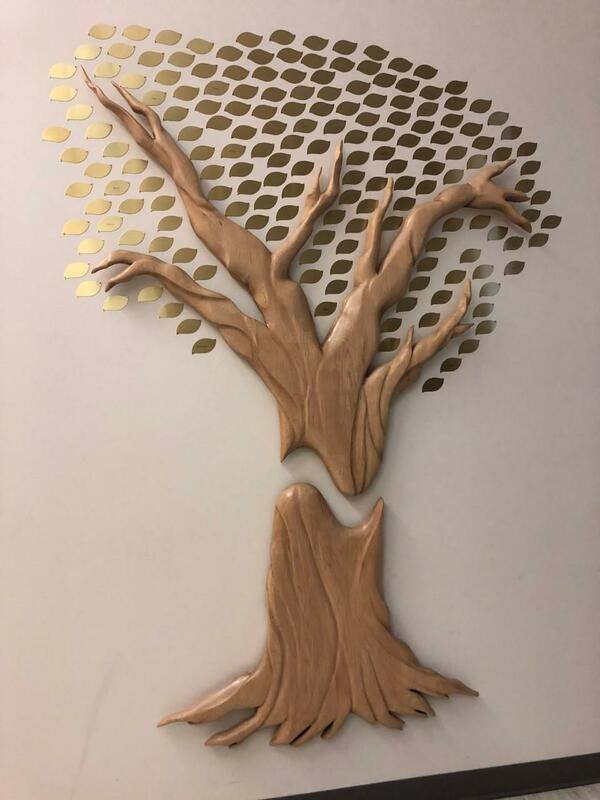 A new gold leaf is added to the tree for each organ and tissue donor. This year’s theme is Life is a Beautiful Ride. The ceremony is Friday, April 12th at 2 pm. The community is invited to attend. Candace Wiercioch, director of cardiac and critical care services at Piedmont Athens Regional Hospital on organ donation and Donate Life Month. Piedmont Athens Regional will host its annual ‘In There is Shoes’ 10k race and walk Saturday March 23rd. The event is a fundraiser for the Loran Smith Center for Cancer Support. Joel Siebentritt, manager of cancer support at Piedmont Athens Regional says many people don’t know about the services provided. “Some will say it’s one of the best kept secrets, we’ve been providing free services for anyone affected by cancer for over 20 years,” according Siebentritt. Piedmont Athens Regional Hospital is receiving national recognition. The Leapfrog Group, a national nonprofit healthcare ratings organization, named the facility a Top Teaching Hospital. Piedmont Athens is the only hospital in Georgia and one of 53 nationally to earn the designation.